The National Nurses Association have organised the Ist Annual Scientific Conference to be held on 13th to 14th November 2015 at Agakhan University Hospital. 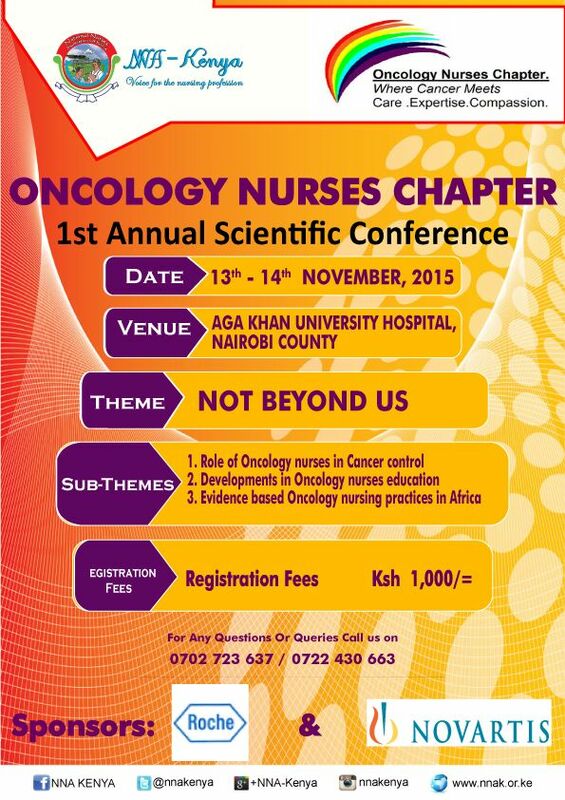 Registration is Kshs 1,000. ← FARAJA CANCER SUPPORT giving HELP, HOPE, LIFE!